The Most Effective Diets - DASH | Valet. Looking for a Proven Diet Plan? It can't be stated enough that if you want to be healthy and build muscle, working out is imperative. But if you want to lose weight, you need to focus your attention not in the gym but in the kitchen. If you're looking to drop a few pounds (and those pesky love handles) in the new year, an easy-to-follow and effective nutrition plan is the key to your success. But with so many diets bubbling up into our collective consciousness, how do we know which one is best? Because the reality is that this can be difficult and, as any frustrated dieter will tell you, most popular fads don't work as well as they promised. Thankfully, U.S. News & World Report puts them to the test each year, with help from a panel of diet and nutrition experts. They ranked 40 plans—everything from paleo and ketogenic to classics like Weight Watches and the Mediterranean diet. And the one that came out on top, for the eighth year in a row? The DASH diet. DASH stands for Dietary Approaches to Stop Hypertension. The plan was first developed by the National Heart, Lung, and Blood Institute back in the 1990s to combat high blood pressure, but it's been praised for its secondary benefits for two decades. Ready to try DASH for yourself? NHLBI's website has a free guide. Easy to follow and fairly straightforward, the diet aims to lower systolic blood pressure while decreasing your LDL cholesterol (the dangerous form of cholesterol). And while weight loss wasn't an initial goal, one study found that the DASH diet paired with resistance training can help you lose seven pounds in 10 weeks, gain muscle and decrease body fat by 11%. So what's the diet look like? Here's the menu's framework [PDF]: four to five daily servings of vegetables, four daily servings of fruit, two to three daily servings of low-fat dairy, roughly eight daily servings of whole grains, and protein from two daily servings of lean meats. Couple that with five servings of beans, nuts and seeds a week. Your goal is to minimize your sodium intake to under 2,300 milligrams a day, and restrict added sugars and saturated fats, mostly from red meats. Of course, for a diet to work, it's got to resonate with the dieter. 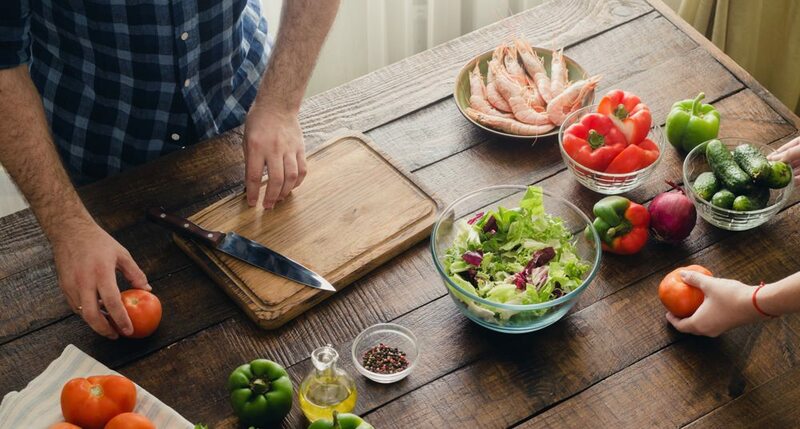 If you'd prefer, say, a greater emphasis on fish and seafood as well as fats like nuts and olive oil, the Mediterranean diet was another high ranking diet that might suit you better. The key is to choose a nutrition plan that works for you and then stick to it to see results. Lose weight and gain energy ... all without suffering. Six smart ways to hack your body and burn more fat.